Dr Geraldine McGuire has specialised in working on complex projects which balance economic, environmental and social aspects to find sustainable solutions. 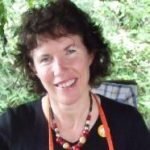 With over 20 years of industry experience, Geraldine has extensive experience in stakeholder engagement, community development, environmental management, auditing, impact assessment, gender analysis, and workshop facilitation involving large teams of professionals, contractors and Indigenous peoples. She liaises regularly with community groups, private companies, government representatives and non-government organisations throughout Australia, Asia and the Pacific. She is a strong supporter and advocate for entrepreneurs and innovators in the Tablelands region and is particularly passionate about the Southern Tablelands.